Many structures and objects can be built with the regular Roblox parts such as Parts, Cylinders, Spheres, etc. 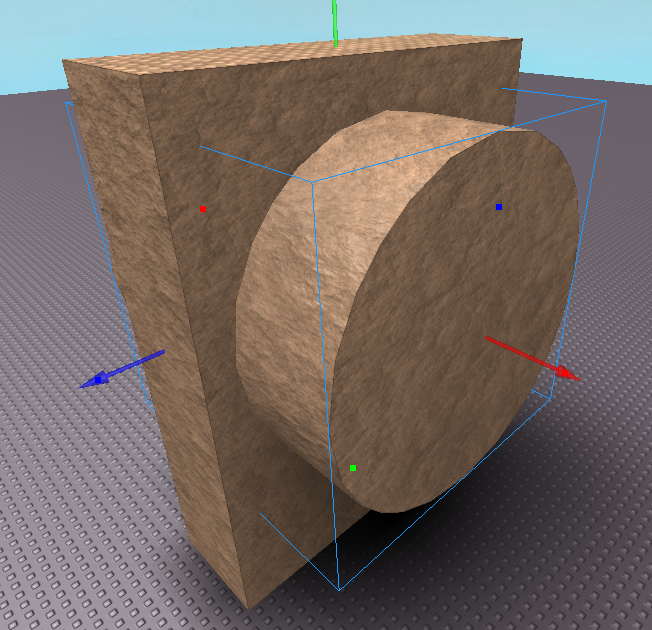 You can create more complicated shapes using a feature called Solid Modeling. 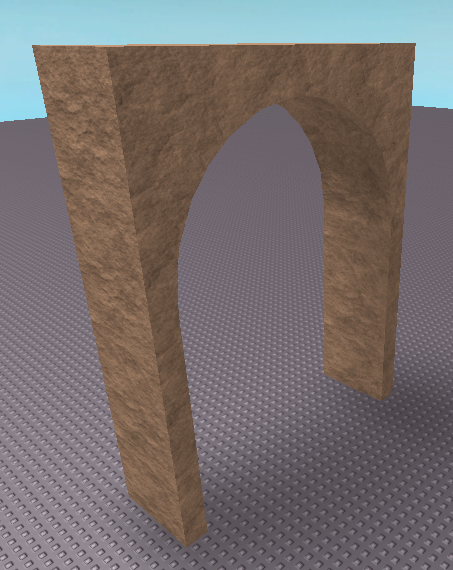 In this tutorial we will use Solid Modeling to create an arch. 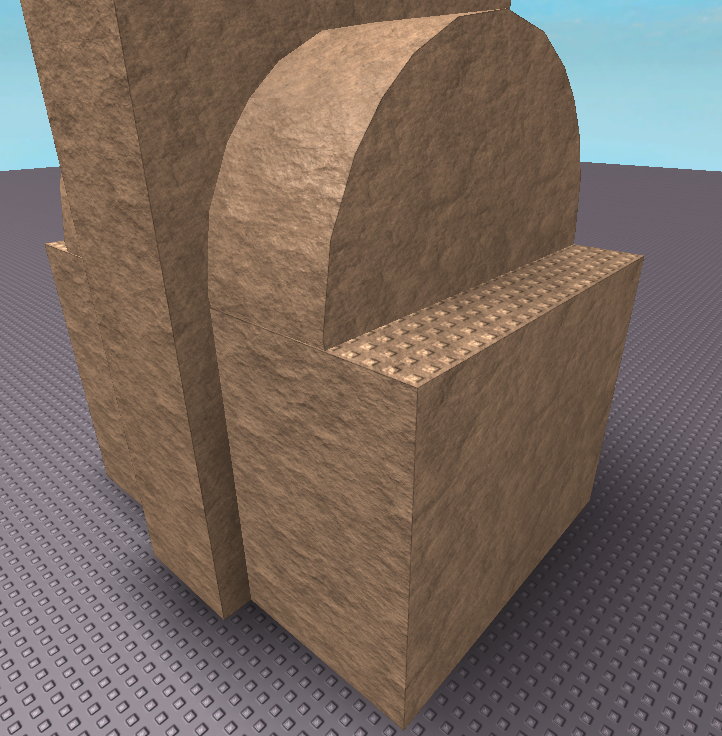 Start by inserting a Part which will be the main body of the arch. 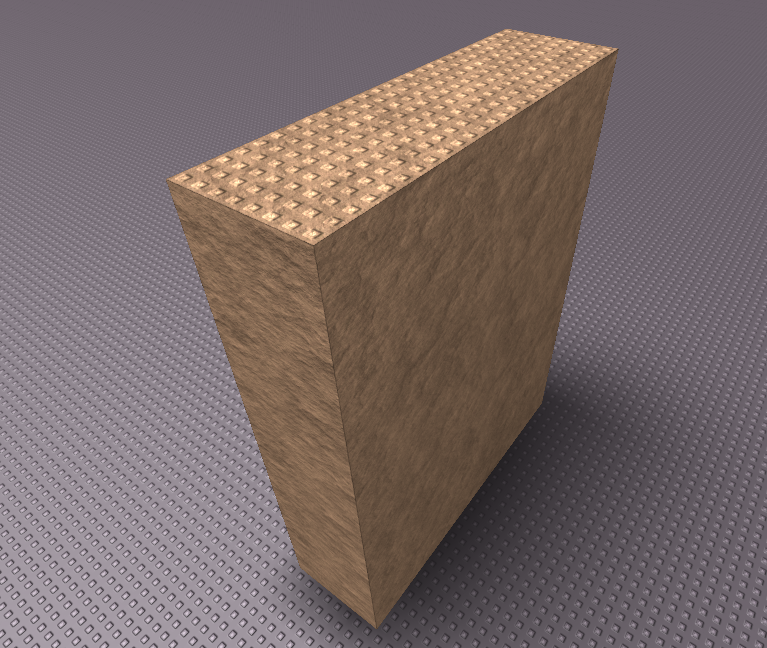 Change the Part’s Part/Shape to Cylinder and resize it using the Scale tool so it is slightly smaller than the part inserted earlier. Use the Move tool to make the cylinder intersect with the part. You will need to make sure collisions are turned off. Insert another Part and place it beneath the cylinder. It needs to be the same width as the cylinder and should be scaled so reaches from the ground to halfway up the cylinder. Select both the cylinder and the second part. Click on the Model tab and then click on the Negate button. This will turn the parts translucent and red. Now select all three parts. Press in the Model tab click on the Union button. This will remove the area in the red parts from the first part we inserted. And we now have a beautiful and clean arch! If you ever want to take apart a union, select it and then press the Separate button.